Some call it Rocky Road, some say Heavenly Hash. 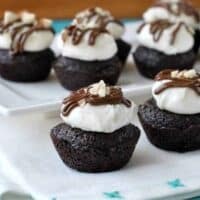 Either way these little brownie bites are perfection! I remember growing up and at every birthday party there were at least two choices of ice cream to have with your cake. In my family, your choices were usually Neapolitan or Heavenly Hash. Does anyone remember Heavenly Hash? Do they still make it? Or call it that? Seems now it’s always called Rocky Road. Heavenly Hash was always my first choice. The swirls of marshmallow and the crunch of almonds in a chocolate ice cream. I can taste it now (and I think I need to go out for ice cream today)! Today’s recipe is my version of Heavenly Hash, in brownie form. 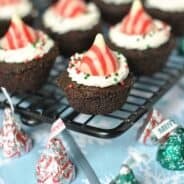 The little brownie bites are pure dark chocolate bliss. I added chopped almonds to the brownies. 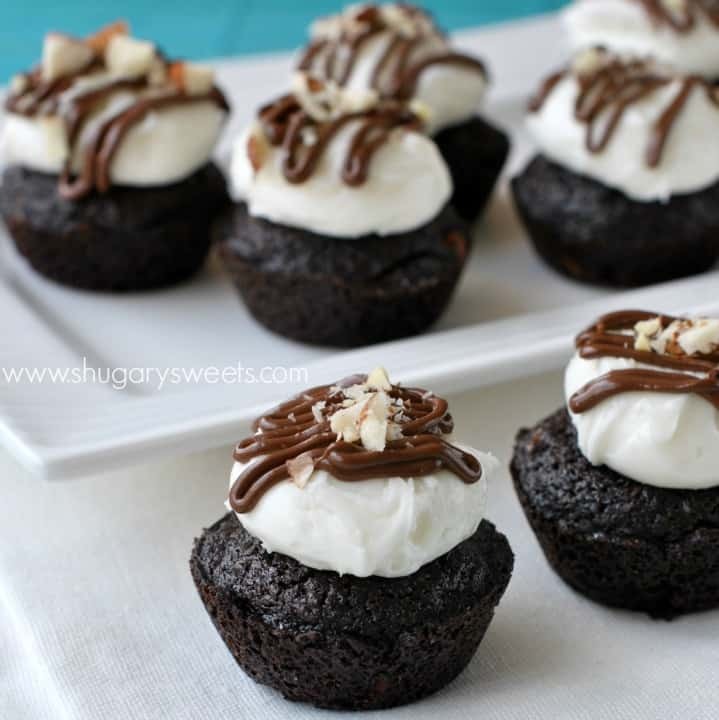 Then I topped each brownie with a marshmallow frosting, a drizzle of chocolate and more chopped nuts. I can proudly say, these are Heavenly. In a large bowl, mix melted butter, sugar, flour, cocoa powder, eggs and almonds together until fully blended. Using baking spray, coat mini muffin tins generously with spray. Drop batter by large tablespoon into mini muffin tins. Bake in a 375 degree oven for 10-12 minutes. Allow brownies to cool 15 minutes in tin, then remove and cool completely on wire rack. For the frosting, beat fluff, butter, powdered sugar and heavy cream with an electric mixer for 3-4 minutes, until fluffy. Scoop one large tablespoon onto cooled brownie bites. Drizzle with melted chocolate and sprinkle with crushed almonds. Store in an airtight container at room temperature for up to one week. ENJOY! **Pour melted chocolate into a ziploc sandwich bag. Snip off the tip and drizzle over frosting. Brownie Bites with Root Beer frosting are a fun, delicious way to enjoy a two-bite chocolate treat! 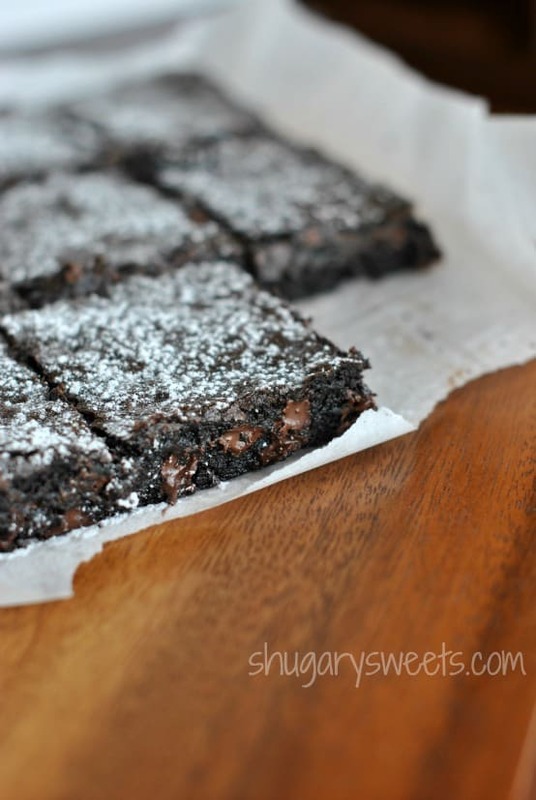 This is my absolute favorite, go-to, from scratch, Dark Chocolate Brownie recipe! 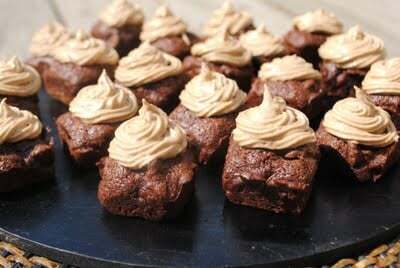 Want a fun brownie twist? 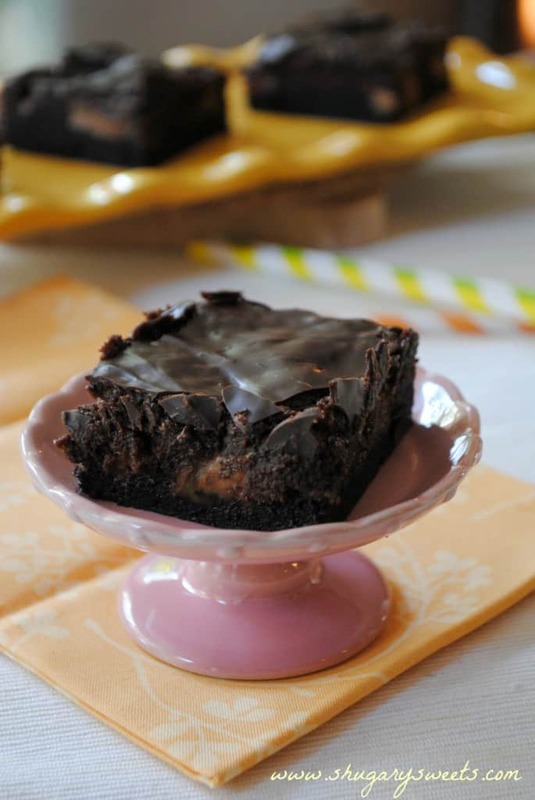 These Milky Way Double Fudge brownies are a sweet tooth favorite! Holy cow girl! 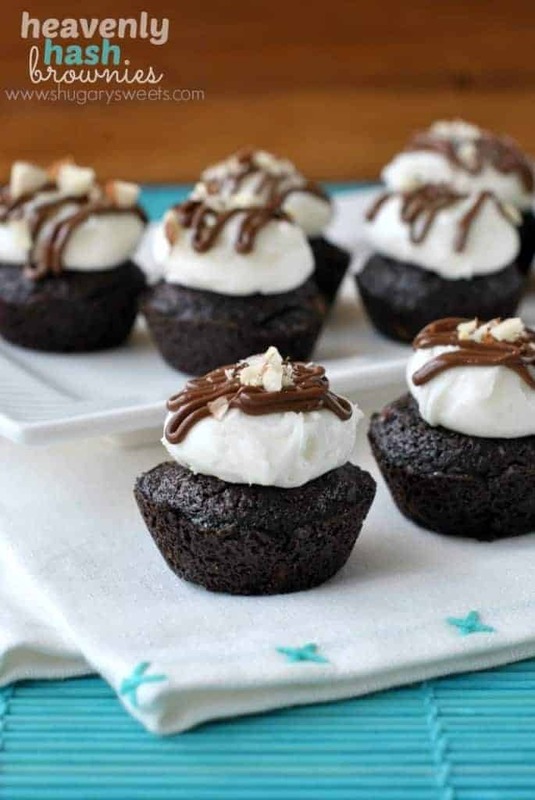 I now have the most intense craving for dark chocolate brownies and frosting! These look awesome!!! Had you not talked about this I would of never have remembered Heavenly Hash! My parents always had that ice cream in our freezer! Thanks for the memory, these look fantastic! Ugh, you always make the most gorgeous, decadent, chocolate treats! I’ve never heard it called Heavenly Hash! But whatever name you give these little beauties, they surely sound delish! These look heavenly all right! Little bites of heaven for sure! Funny, I never eat ice cream with cake now, but as a kid, loved neapolitan! Heavenly Hash is new to me, but I have a feeling these would be my best friends! 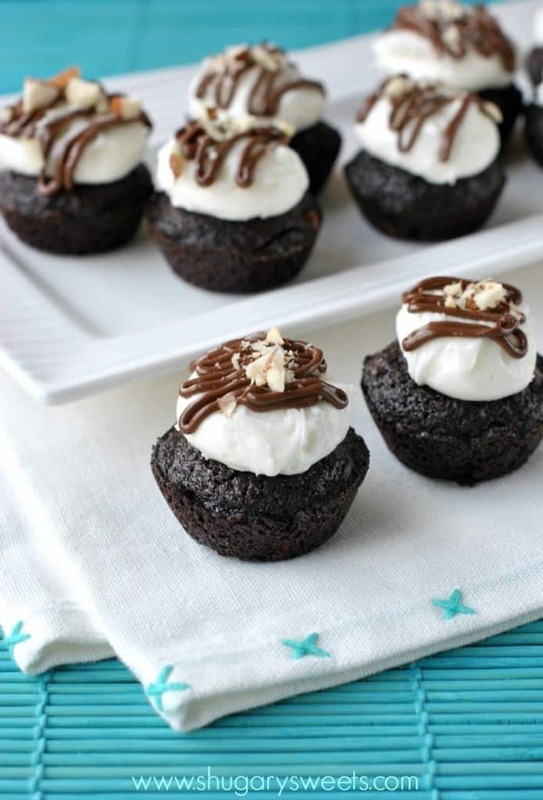 Marshmallow cream covered chocolate cupcakes?! Yes, yes, yes! And mini things are my favorite – you can eat more! Oh my do these look good!! 🙂 Pinning for later! Mmmmm these look amazing! The perfect size too. I’ve never heard of Heavenly Hash but I’m thinking I’d dig it! 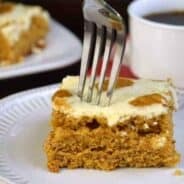 Can u make this with boxed brownie mix to save time ? I remember heavenly hash but haven’t seen it for years. Honestly, I read your title and had a flashback! These look so delicious with that marshmallow cloud on top. They do look heavenly. These definitely do look heavenly. Yum!! I had no idea what heavenly hash was (only Rocky Road!) but it DOES sounds heavenly! 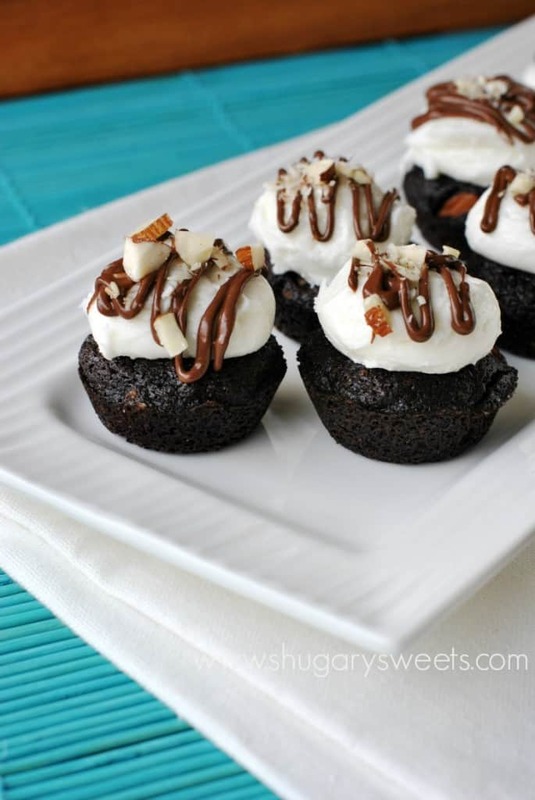 The crunchy almonds with the marshmallow and dark chocolate….Drooling. 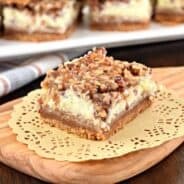 I have never heard of Heavenly Hash, however my husband is a huge Rocky Road lover, will definitely be making these — incredible! Love the photos too! I’ve never heard of heavenly hash, but I do know rocky road. The word “hash” just brings so many things other than delicious brownies to mind, haha. They look delicious! Heavenly indeed! Although I’ve never heard of this combo being called that. Doesn’t really matter what they call it, I want it! These brownies look amazing!